Another example of growing interest in utilizing Concrete Tilt-up Construction within the Health and Medical segment in the Southern California marketplace. 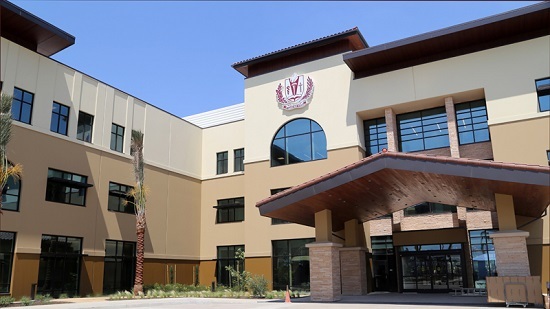 The new Loma Linda University Health building is a modern 3-story 153,600 SF building with 229 exterior	windows, erected onto a 51,200 SF footprint. This job required a crawler crane and every major pour had to be boom pumped. Some window openings had curved tops and architectural reveals to enhance the visual appeal. The building utilized 7400 cubic yards of concrete and 820 tons of reinforcing steel, with concrete over metal decking for the 2nd and 3rd stories, including	the roof. Thanks to Hakanson Construction’s proven expertise in the Tilt-up field, a total of 51 concrete panels which were 54’ tall were raised into place in only 30 hours! Hakanson Construction acted as subcontractor for Layton Construction, Irvine, CA.